This entry was posted on Tuesday, December 30th, 2008 at 7:58 am and is filed under Uncategorized. You can follow any responses to this entry through the RSS 2.0 feed. You can leave a response, or trackback from your own site. 10 Responses to What is love? Well written poem and beautiful roses pic. Pink here denotes love for God and white for peace from God….. 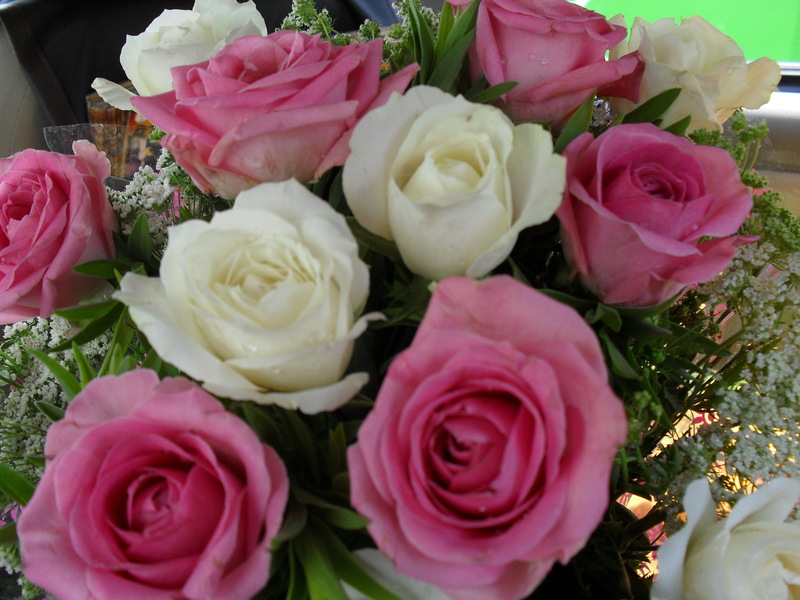 The white and pink roses in the picture signify Pure Love !!! Pure Love indeed is the most powerful force in the Universe and has the power to transform anything. Ma, what other post I could have read after Devotion? For Love is Devotion and Devotion with Love is all that we require. Dear Nazma, I am delighted that you unlike so many, have appreciated this poem of Love. It is tricky to grasp because it is written on multi levels. It addresses like Sufi creations on both levels- worldly and spiritual. Perhaps you may have found that out and have hence appreciated it. One must experience both kinds of love to be able to transcend to the formless godly love and should have undergone those experiences where physical love changes without our knowing into pure Godly love and two become one in Spirit.There is devotion also in this poem where somebody is praying and asking God to manifest His love in them as God’s love. Where and when this happens is not announced. Read once more to get hold of the nuances which go unnoticed by most people and taste the sublime joy that exudes here. Those who were victorious and those who failed in love, both should like this poem I feel for the reason that finally we all must melt and blend in God…. Well, I have not written much on devotion barring a few articles so do not know at this moment which post to send you to.Maybe someone else will tell you, I mean the readers. Your advice registered deep in my heart. I will read this post many times more to understand the deeper aspects of the topic. “finally we all must melt and blend in God….” is a point to remember always 🙂 .. Thank you so much !!! Beautiful poem. Somehow I appreciate this poem more now than the first time I read it a few years back. Guru Ma, at some point of time may be millions or billions of year later, will all the souls meet the spirit and live eternally with Sat Chit Ananda ?